A beautiful Italian inlaid musical jewellery box with ballerina. 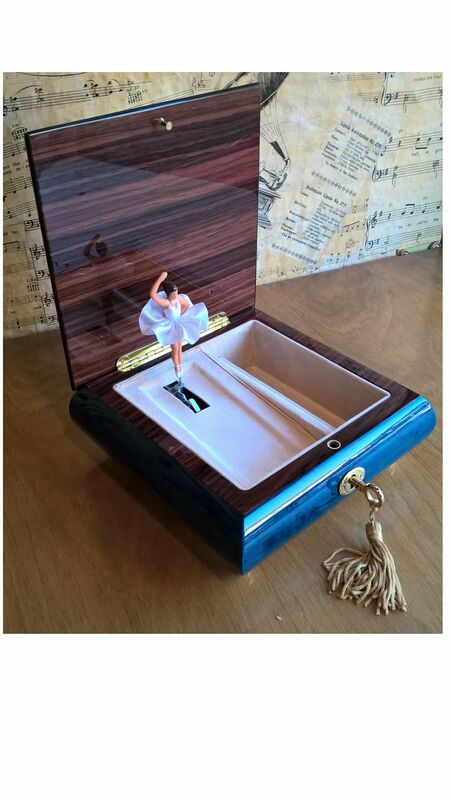 This beautiful jewellery box from our own range 'The Music Box Shop' is fitted with a traditional ballerina figure that turns to the music. The music box is wound from underneath. When you lift the lid the music plays and the ballerina turns to the music of the 18 note movement. The box is finished in a lovely gloss finish, complementing the deep blue veneer of the wooden box. It has an inlaid decorative top featuring an intricate musical instrument and floral design with an unusual natural wood edging. Inside the box is lined with a cream baize and has space for fine chains and a padded slot for rings. The music box is fitted with a music box lock with decorative key. You can select your tune from the box above. 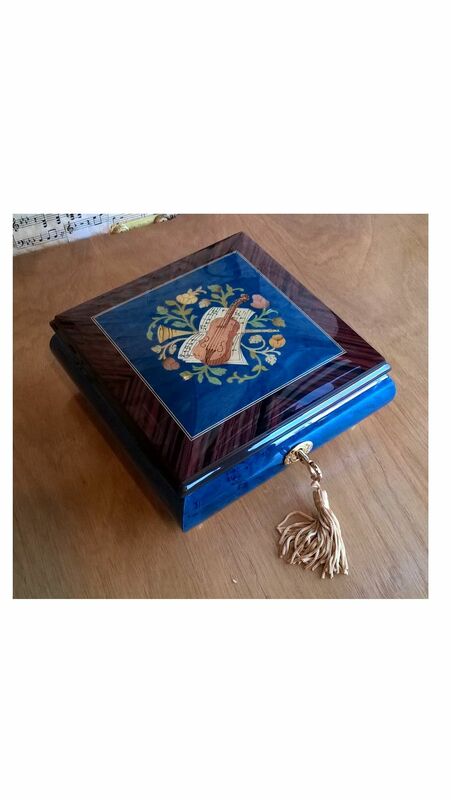 Please Note: As these boxes are handmade in Italy, on occasion the colours used in the inlay detail and baize lining of the box may vary slightly from the image shown. Please telephone for further clarification if required.